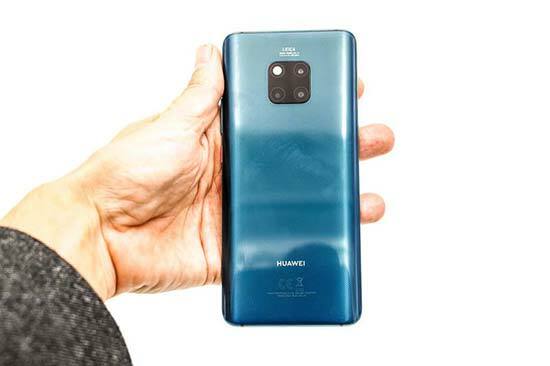 The Mate 20 Pro is the first device from Huawei to use the very latest Kirin 980 chipset, which has not one, but two neural network computing (NPU) processors. 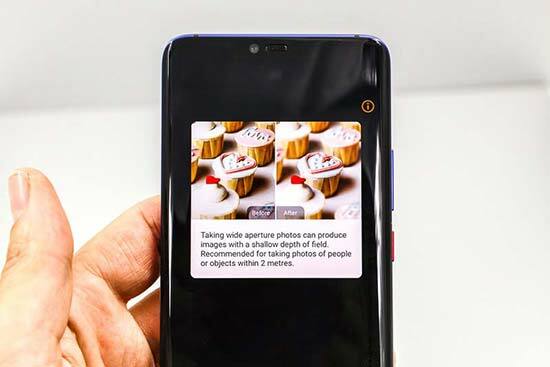 This means that the Mate 20 Pro can now identify particulars, not just contours, can process live video as well as stills, and can separate objects more precisely. Along with its super-fast Cat.21 LTE, 1.732Gbps Wifi connection, the Mate 20 Pro is capable of streaming 4K live video with no buffering. Huawei have gone all-out to give the Mate 20 Pro an iconic design, with symmetry and simplicity at the forefront. The camera is therefore located in the middle of the device, which is curved on all the corners. It’s also rated to IP68 water and dust resistant. The Mate 20 Pro is available in Pink Gold, Midnight Blue, Emerald Green, Twilight and Black. It has a 6.39 inch, 3120×1440 2K plus, 19.5:9 ratio, curved OLED HDR display. Two of the colourways have a Hyper Optical Pattern finish, which is both beautiful and practical, with a tactile finish that resists fingerprints and is less slippery than full glass. 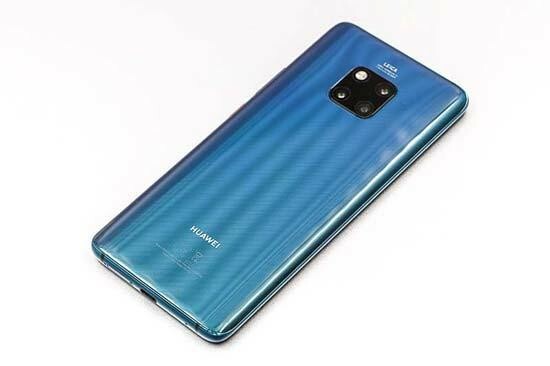 The Huawei Mate 20 Pro has a Leica triple camera setup, consisting of a wide-angle module (40mp, f/1.8 lens), telephoto module (8mp, f/2.4 lens), and a new ultra-wide-angle module (20mp, 16mm f/2.2 lens). 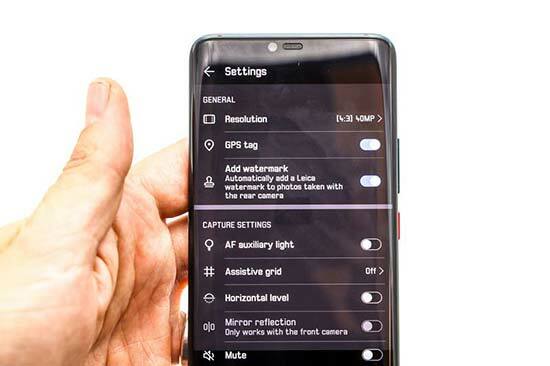 Huawei claim that they don’t need the monochrome sensor that’s on the P20 Pro – instead they can get great images from the wide-angle module instead. Interestingly the ultra-wide-angle can focus as close as 2.5cms, handy for macro shooting. Other key camera features include a fully manual shooting mode, AI 4D predictive autofocus system, a dual tone flash module, 24mp front selfie camera with an f/2 lens, and the AI cinema mode which supports the 21:9 format as well as 16:9 and offers a range of cinematic in-camera effects. Battery life is improved thanks to the new 4200 mAh battery. In the 40W Supercharge mode, the Mate 20 Pro can reach 70% in just 30 minutes. 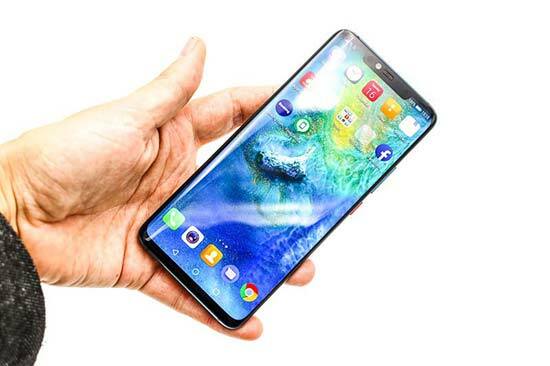 There’s also wireless charging for the first time on a Huawei device, which uses the 15W standard, twice as fast as the industry standard and 160% faster than the Apple iPhone X. There’s also a clever feature called wireless reverse charging, where you can charge other devices with the Mate 20 Pro! In terms of security, a hot topic right now, the Mate 20 pro has a dedicated 3D depth sensing camera for its face unlock feature. There’s also an in-screen fingerprint reader, with no need for a separate sensor, and a password vault that stores passwords on the device, rather than in the cloud. Huawei are also offering more backup options than ever before, with Local, USB, NAS and Cloud options available. 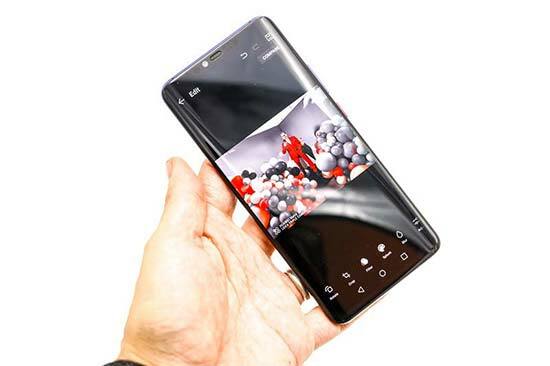 The Mate 20 Pro continues to use Huawei’s EMUI 9.0 software, which further simplifies the user experience. 10% of the user settings from the previous version have been rationalized, and the system is claimed to be about 50% faster than before. The Mate 20 Pro is Huawei’s most advanced smartphone to date, with improvements across the board. 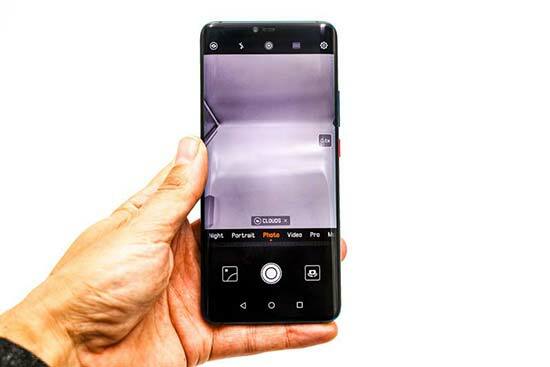 These include the photography side of things, which has always been one of Huawei’s key aims, with the new 16mm ultra-wide-angle lens making the Mate 20 Pro a very versatile device in terms of its focal range. So what do you think of the new Huawei Mate 20 Pro? Leave a comment below.. Thank for your visiting on this page Huawei Mate 20 Pro Review – First Impressions, We hope this post can be a good reference for you and provide useful information for you :-).